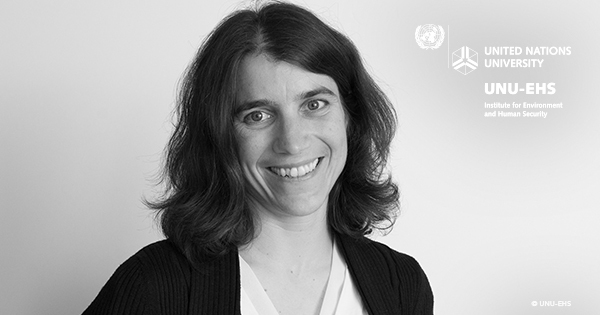 Dr. Yvonne Walz will present landmark research on assessing risks and vulnerabilities to floods and droughts in the Savanna landscapes of West Africa on Thursday, 3 May 2018 between 1.45 and 3.45 pm in in the Foyer of the World Conference Center as part of the Climate Talks (SBSTA 48) hosted by UNFCCC. She will introduce her research by showcasing a scientific poster on the research work completed as part of the West African Science Service Center for Climate Change and Adapted Land Use (WASCAL) project. West Africa is a hotspot for climate change and at the same time one of the most vulnerable regions of the world. Hazards, such as floods and droughts are worsening in terms of frequency and intensity and they are threatening communities and their livelihoods. The WASCAL research team at UNU-EHS has developed tools and methods to better assess vulnerability and risk of floods and droughts in the savanna landscapes of West Africa, based on three case studies: Dano in Burkina Faso, Vea in Ghana and Dassari in Benin. The research findings have been summarized in a handbook of tools and methods on vulnerability and risk assessment for practitioners. The handbook is structured into two main parts: Part I represents the practical guidelines for assessing hazard, vulnerability and risk to climate-related hazards, such as drought and flood. Part II of the handbook provides scientific and technical background documentation for the practical guidelines.